What Does Life in Paradise Actually Look Like? 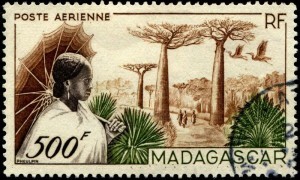 Most people know about the weird upside down trees and long-limbed monkey people; the baobabs and the lemurs, the images that mark the postage stamps of this faraway Indian Ocean island. 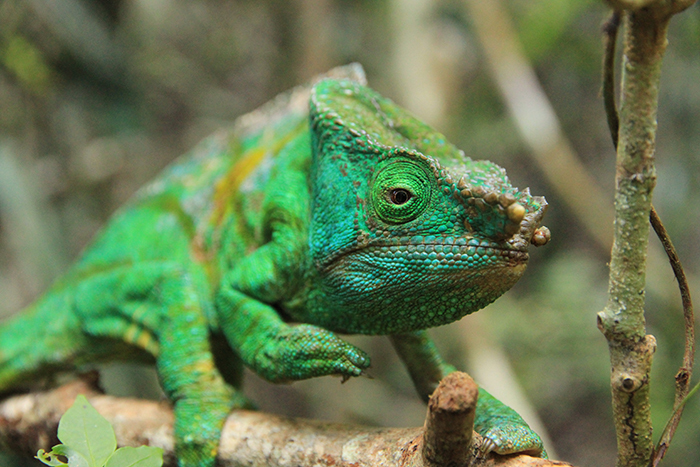 But if you research the destination of Madagascar for long enough you will uncover a rather peculiar anomaly, one that makes you wonder why more children’s books and colonial explorers’ tales didn’t tell you more about it before. 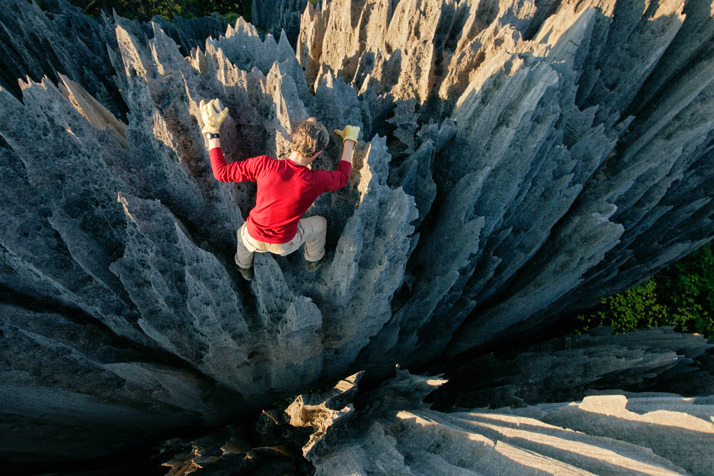 It was the General Manager of Anjajavy L’Hotel in Madagascar, Cédric de Foucault, who first alerted me to this natural phenomenon – the lesser known Tsingy, a maze of rock formations that are surely a throwback to the age of the T-Rex. Or the Lemursaurus. 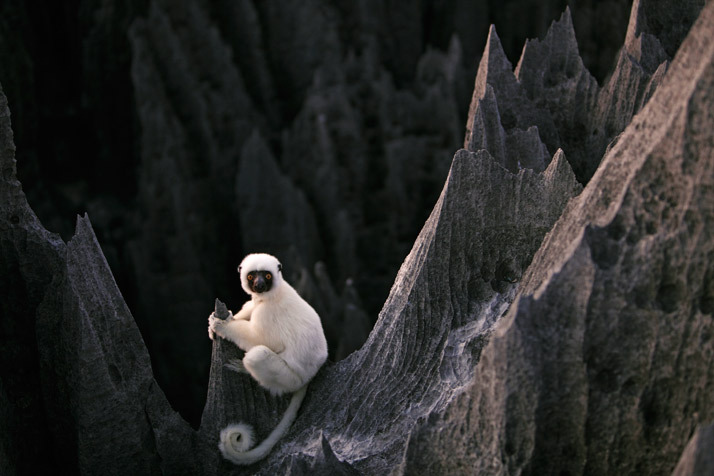 For a better understanding, take a look at National Geographic Photographer, Stephen Alvarez‘s images of Madagascar’s Tsingy de Bemaraha National Park and Reserve, a natural city of limestone towers that rises up out of the west of the island. Above: Images by Stephen Alvarez. View more here. 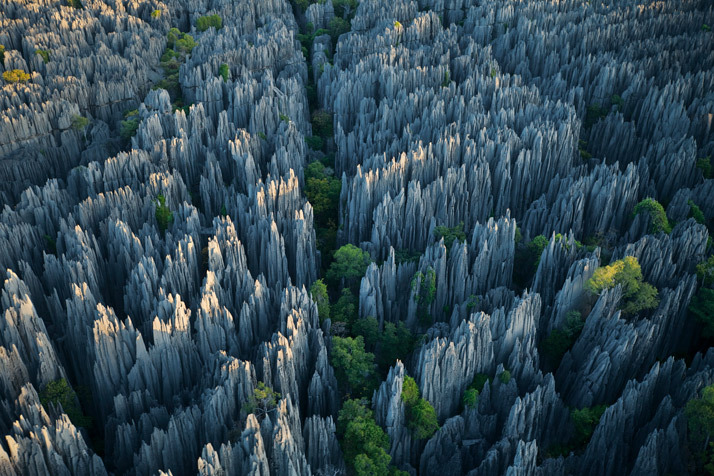 Seeing Madagascar through Cedric’s eyes, the island comes alive. Hidden corners leap out from the shadows, like the black and white indri that refuses to be a mere wallflower in the garden of this paradise. And what does living and working in paradise look like? You’ll find all your answers in our 10 Questions with Cedric below. 1. 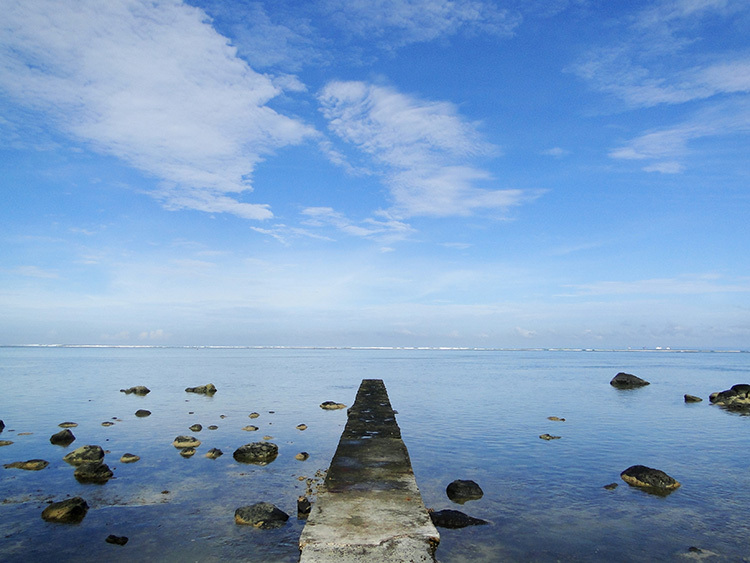 Five important things to remember when living on a remote island? Know why you are here: you will need to remind yourself of it in lonely times. Be safe: you are in a remote place so access to emergency services is not easy. Keep it clean: avoid polluting any source in a semi-closed system. Respect what nature has to offer: Access to resources is not as simple as in town, they can be limited. Avoid waste. 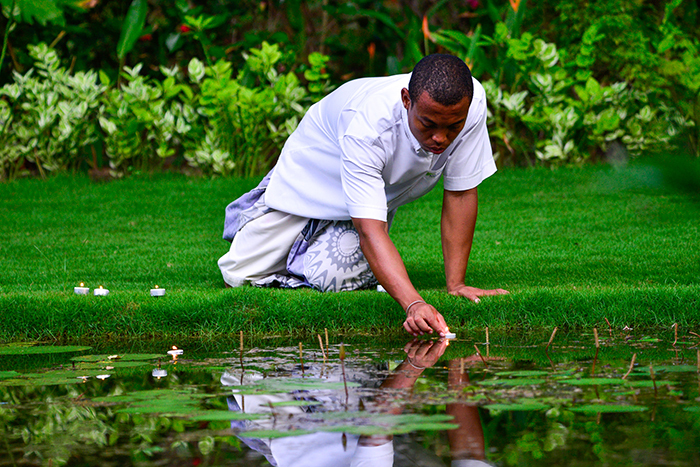 This is in respect for the source which is generally nature and also for the people who are taking care of the land. Build trust:Bond genuinely with the people who share the land with you. We all need each other. 2. Five things travel and island life have taught you about yourself, life and love? Sharing brings happiness. Give of yourself. Life needs diversity to be resilient. Be open to tolerance. This will help you to adapt and to stay smart. Having a land to belong to is a way of bonding between you and your family and your environment over time… as though you were going to live for thousands of years. Nature is a model for health, protect it. Having the concern for others in mind will help you keep the ecosystem running harmoniously. I think that this is what love is about. 3. How did you come to work at Anjajavy? 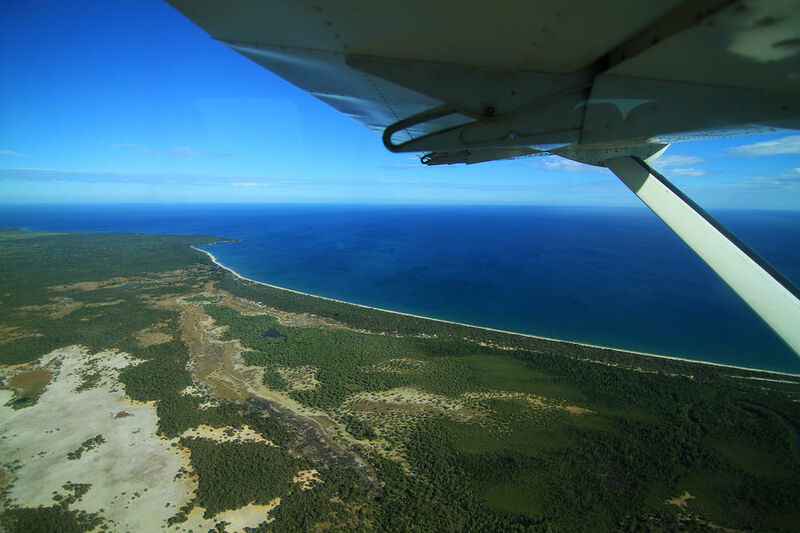 Anjajavy is a love story between several families and this beautiful land. 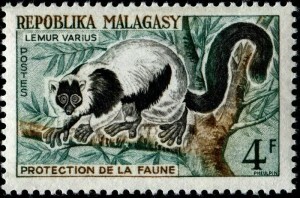 My family has been in Madagascar for more than a century, since 1894. 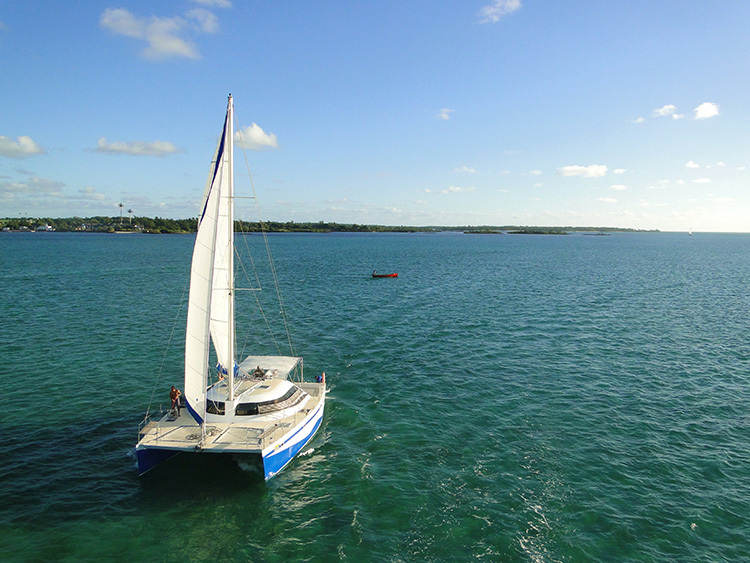 We own a charter company, a tour operator and a hotel management company on the island. 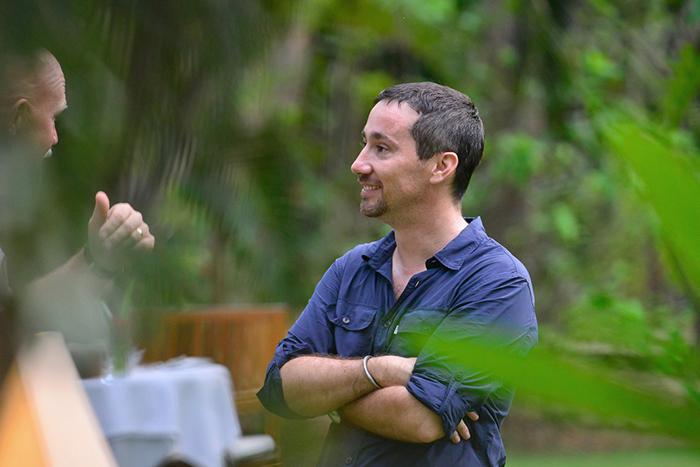 We met Dominique Prat, the creator of Anjajavy le Lodge, in 2009. 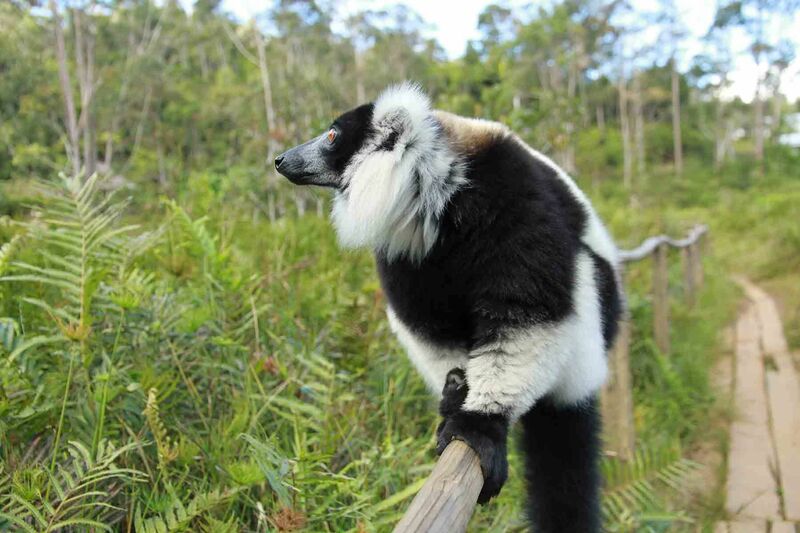 Because of the 2009 political crisis, tourism in Madagascar was facing difficulties. The hotel was having a hard time. Dominique wanted to collaborate with us to externalize flight operations with his hotel and to get consulting for the management side. 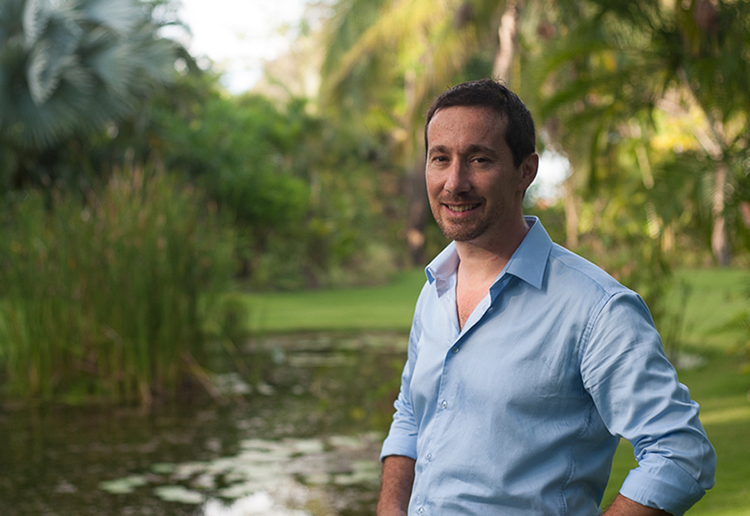 As soon as we discovered Anjajavy something very strong started between Dominique Prat, my father, Bruno de Foucault, who managed the airplane company and myself. 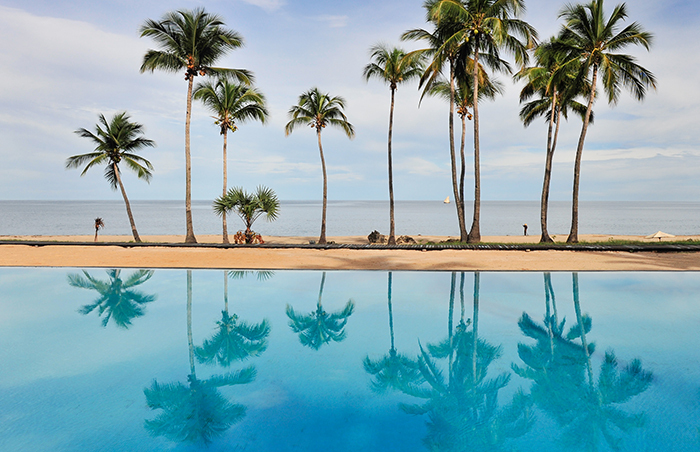 It was a passion for quintessential Madagascar. Soon after that, I was offered the position of GM of the lodge and established myself in Anjajavy with my wife, Hoby, and my two young daughters. Since then, Amirali Rajabali – who my family has been working with for three generations – acquired the hotel. With Dominique Prat and Amirali Rajabali’s son, Sameer, on the management board, and my father as a partner, we were able to lead the hotel to its present level. 4. Favourite part about island living? Working long term in such a remote, semi-closed environment gives you the opportunity of seeing the direct results of your efforts in the community and nature. I love the feeling of achievement it brings, especially in biodiversity conservation, sustainable development and cultural integration. 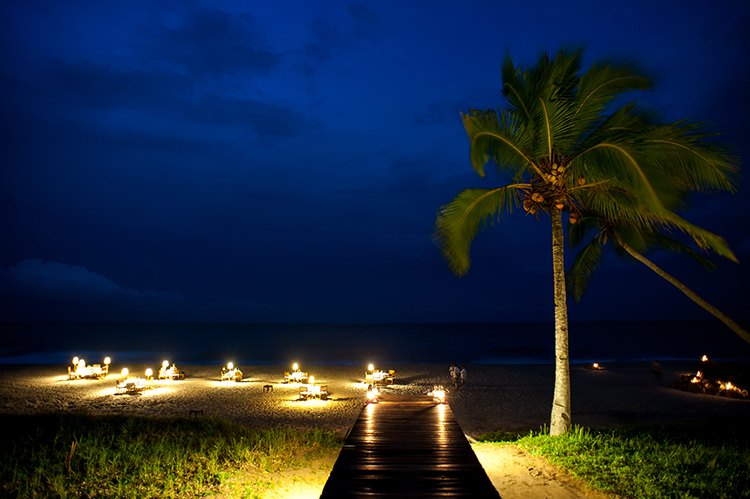 Sharing it with guests in a beautiful nature reserve along deserted beaches is a blessing. 5. 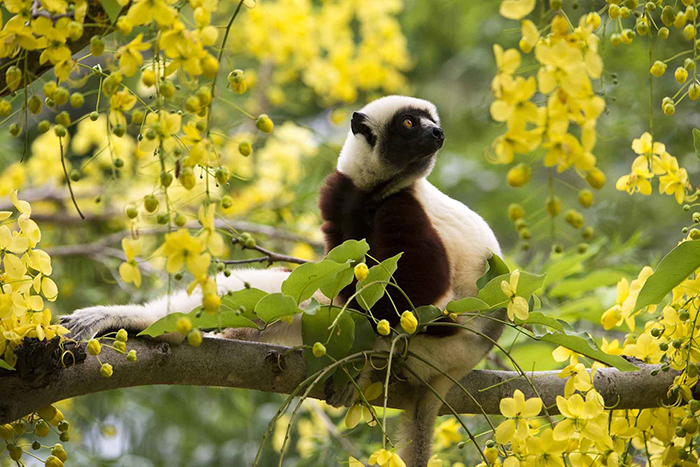 What’s your favourite way to unwind on a day off in Madagascar? Catching (and releasing) butterflies or snorkelling on a beautiful coral site with my two daughters and my wife. 6. Most memorable moment at Anjajavy so far? I am having a hard time to choose between these three: watching the very elusive fossa female in her mating tree with Bill and Melinda Gates; preparing a virgin beach inlet with Sam Branson for his wedding proposal; and taking care of an abandoned baby mouse lemur with my two kids. How do you find alternating between the stillness and isolation of Anjajavy and the hubbub of city life when you travel for work or pleasure? I feel at ease both in the city and in the forest peninsula, I need both nature and technology, loneliness and the crowd, calm and rush. I am rural and urban, European and Malagasy. I like the changes of contexts because you can bring assets of one world to the other. You can instigate changes and introduce developments from one world to the other and vice versa. You become a vector, life becomes richer. 8. 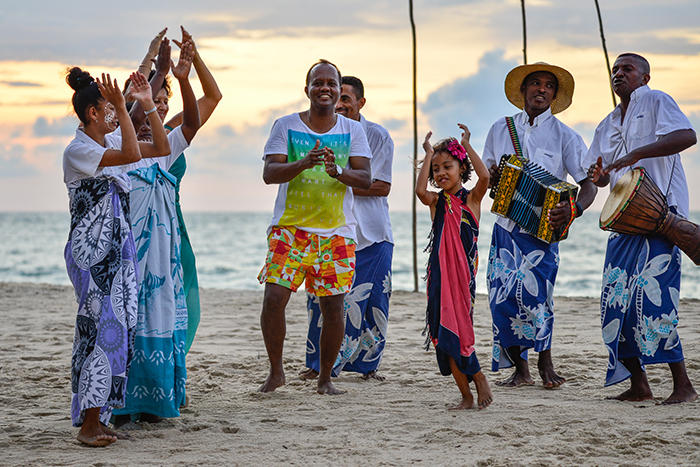 What has surprised you most during your time at Anjajavy? I am surprised at how fast time can go when you are happy. 9. 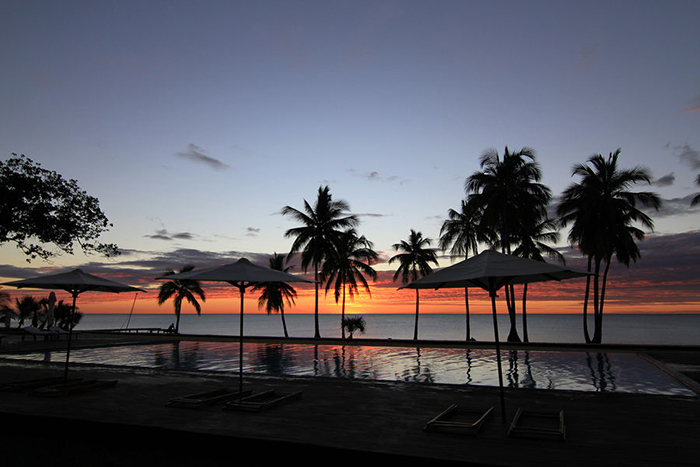 Favourite time of day at Anjajavy? I particularly enjoy welcoming my guests in the dust of the Anjajavy airstrip. For many reasons, this special moment is always full of strong and positive energy. Living in Anjajavy is the best adventure. Fighting forest fires, rescuing a pirogue man during the night, saving a baby from dehydration, helping a woman give birth, building a secondary school and managing the continuous improvement of the quality of the lodge. 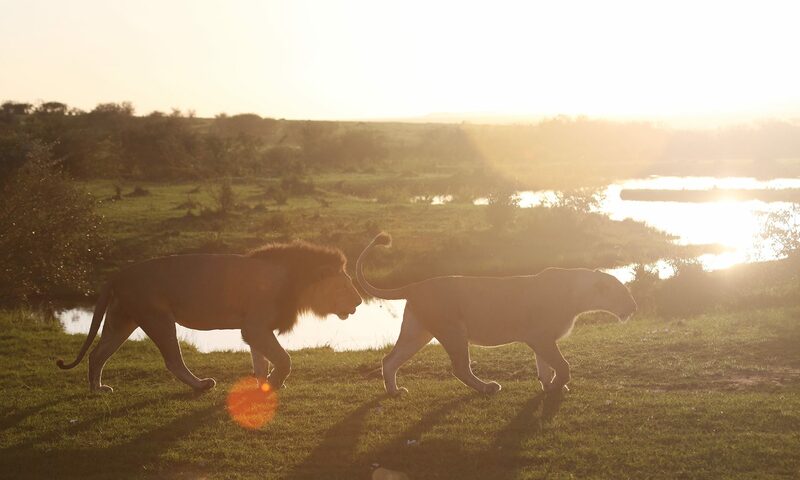 Managing the conservation of the reserve after it increased its size in 2015 – from 1500 to 6000 acres, as well as many very exciting research projects in biodiversity. 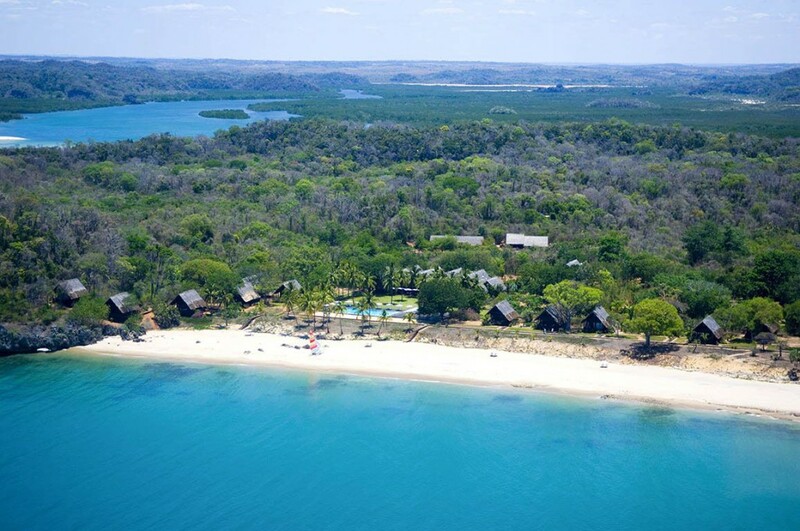 Contact us to find out more about Madagascar and planning a trip to this unique island off Africa’s south-east coast. Oceans both separate and connect us. They’re a thing of terror as much as awe. They represent life and death. 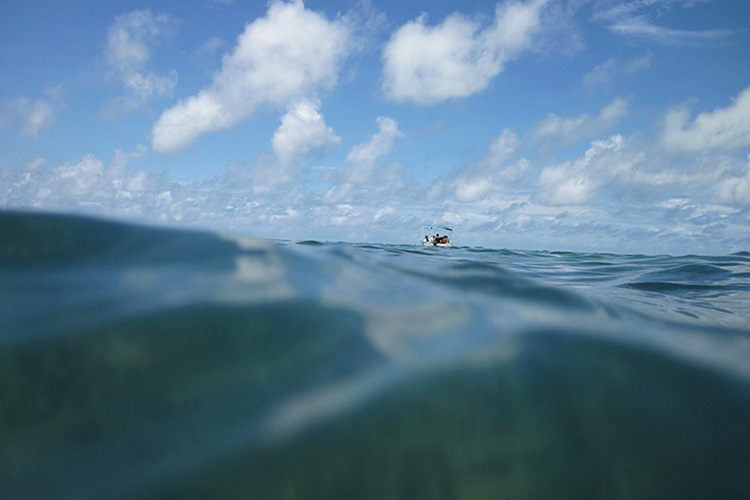 But rather than one thing or the other, oceans, before we add our thoughts and feelings to them, just are. They exist beyond “as far as the eye can see”. And we can choose how we wish to view them. 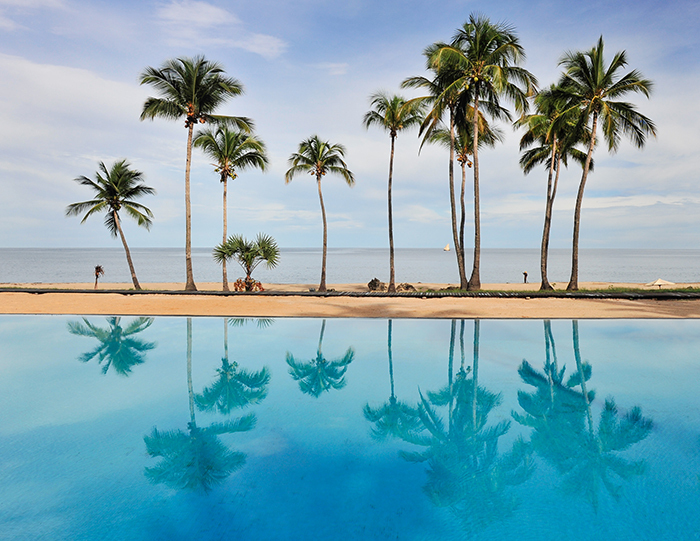 It’s easy to lose track of more insignificant things like time when looking out at the water and acquainting yourself with its different moods – whether from a sofa in the sun, on the balcony of a beach house, or spread out in a hammock, shaded by palm fronds and kept cool with pineapple sorbet. Whichever way you see it, whichever way you prefer it, and whichever of Earth’s five oceans, 113 seas, you find yourself looking out at, what impression does it leave you with? Is it awe, is it terror? Is it half full or half empty? This being “The Perks of Paradise”, more of “An Optimist’s Guide to the Ocean”, we’re going to show you the former – the glass half full. We’re going to show you Paradise. Beach sand is not the enemy, sunshine is a complimentary perk of being an earthling, and on islands such as Mauritius, the featured destination for today’s blog, experienced skippers, coral reefs and island rum cocktails help to protect you from any hesitation. 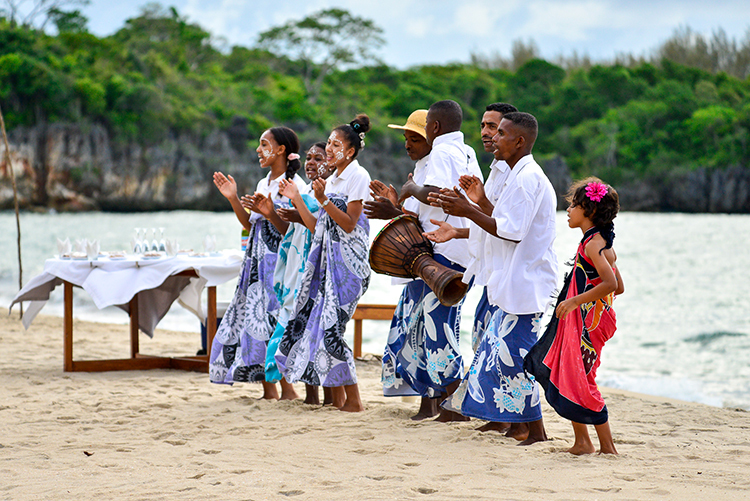 Take a look at the perks of paradise below to discover why you should consider Mauritius, the Hawaii of Africa, according to the Huffington Post, for your next holiday, beachlover or not. 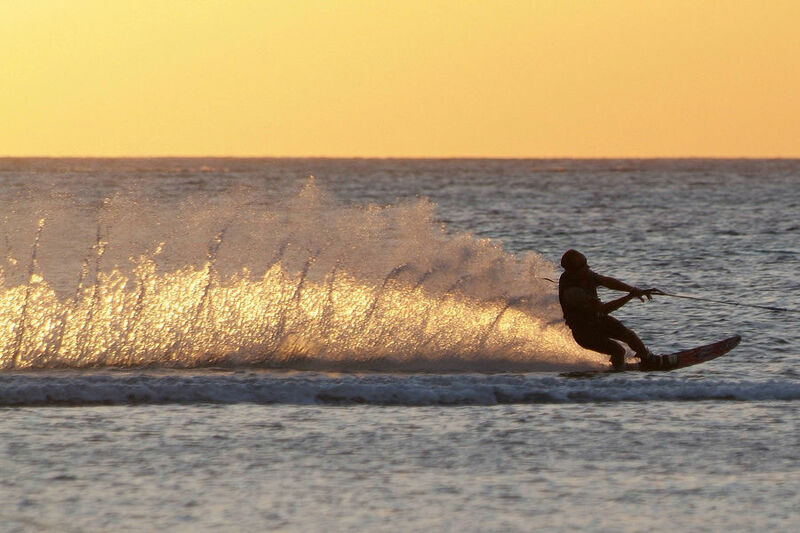 Mauritius is the Land of the Water Sport – the place to spend hours scuba diving, snorkelling, sea kayaking, sailing, paddle-boarding, windsurfing, kitesurfing and surfing. A near complete pirouette of coral reef encircles Mauritius. Urchins, anemones and gorgonian fans adorn seascapes of volcanic craters, coral-dusted chimneys and dramatic pinnacles. 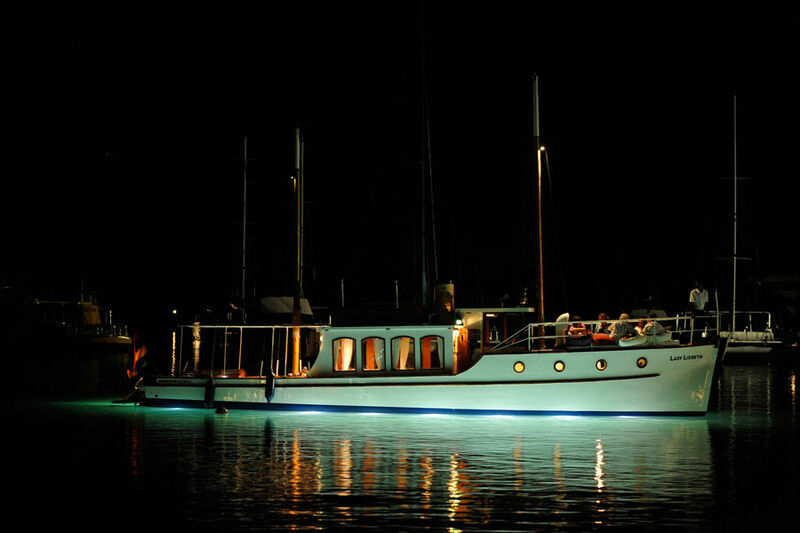 Drawn to the underwater universe, clown, trumpet, and box sway to the whim of a soft current. Preferring deeper waters, barracuda, marlin, sailfish and yellow fin tuna trawl the cobalt blue, tempting deep-sea fisherman into the depths. Sharing the expanse with these robust fish are the ocean’s true giants – escaping the harsh Antarctica, whales wallow in the warm Indian Ocean. Bottlenose and Spinner dolphins take a more relaxed stance on life, lingering in the docile bays of the West Coast, allowing bathers and snorkelers to admire them beneath the surface. 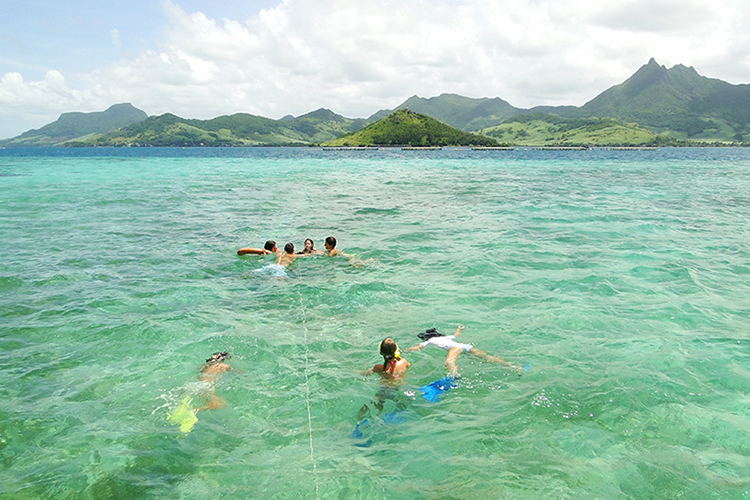 Explore: Mare aux Vacoas is the biggest natural water reservoir on the island and a particularly great spot for diving. 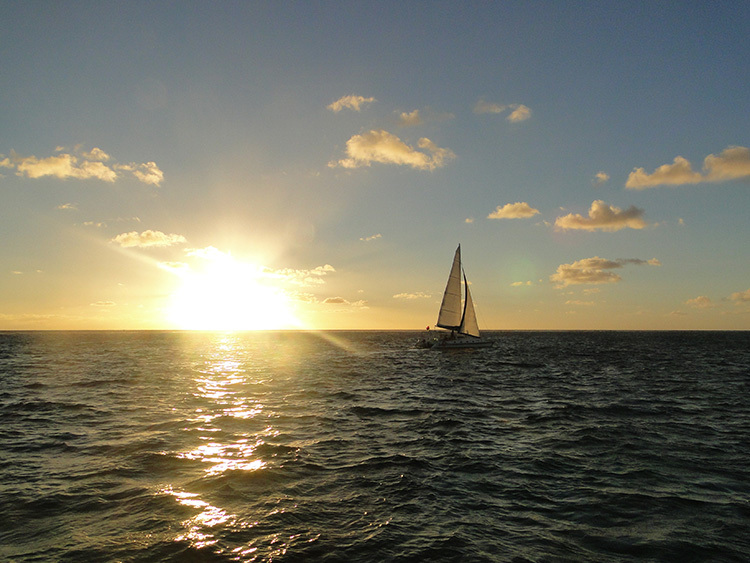 The beauty of being thousands of kilometres out in the Indian Ocean is just that… being thousands of kilometres away from everyone else. 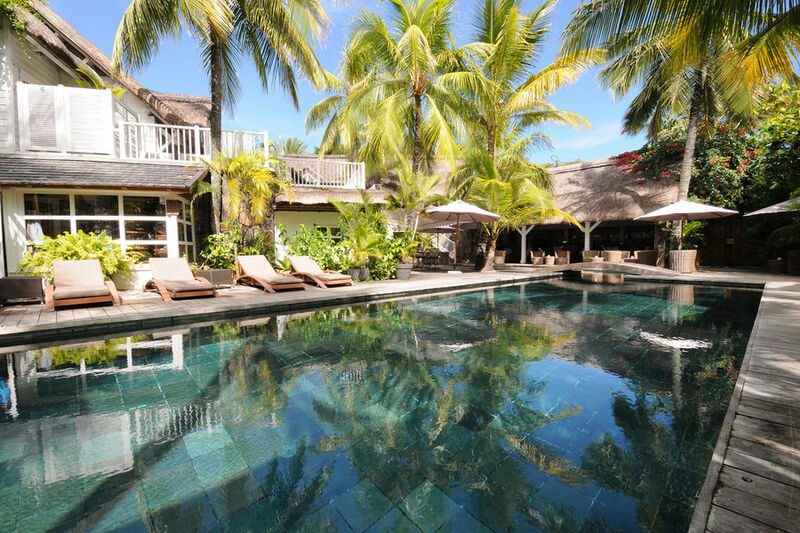 Big island resorts rob you of this feeling of getting away from it all, while places like 20° Sud, the first boutique hotel and only Relais & Châteaux property in Mauritius, set on the north coast, are wholly set up to cushion you from other travellers. 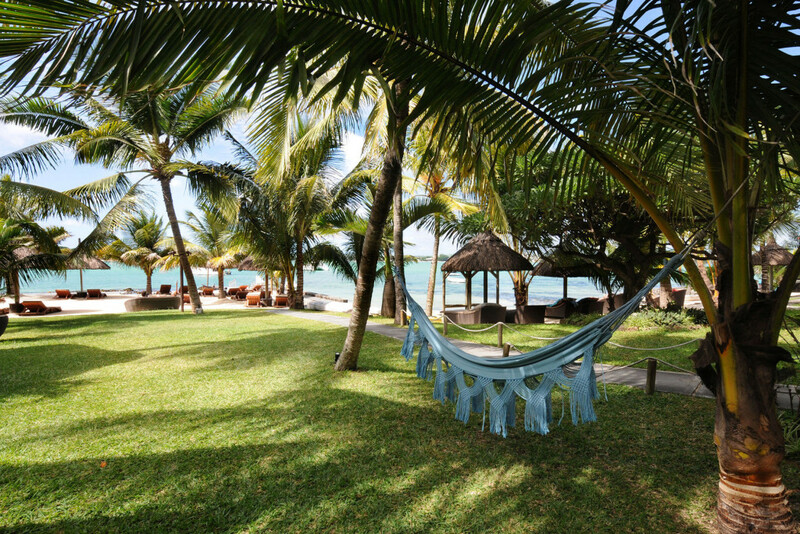 Mauritius may not be as wild and uninhabited as, say, the Seychelles or the Maldives but 20° Sud has found that one secluded corner to rival the surrounding Indian Ocean islands – on a sheltered private beach hidden within an old coconut grove on the water’s edge. 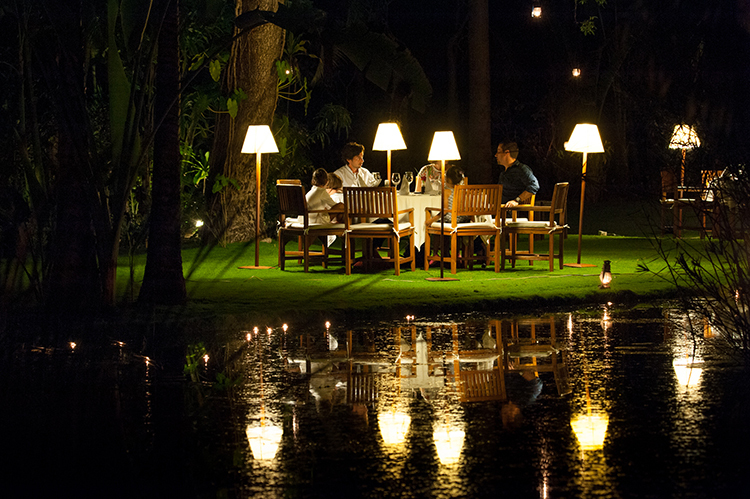 The hotel’s Belgian owners, Michel and Anne Bourgeois, were looking to create something more intimate, where couples could luxuriate in peace and quiet in an otherwise rather popular paradise. Air Mauritius recently added four new routes, Air France expanded service, and Emirates offers double daily trips from Dubai. 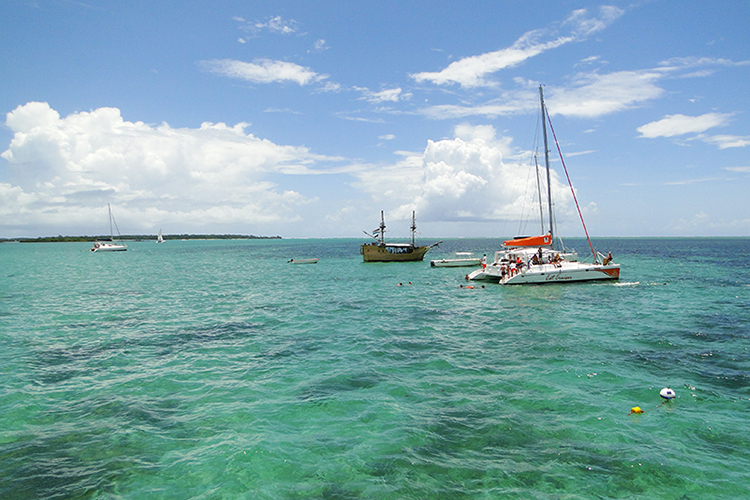 Most foreign nationals don’t need a tourist visa for Mauritius, but be sure to double check before your trip. 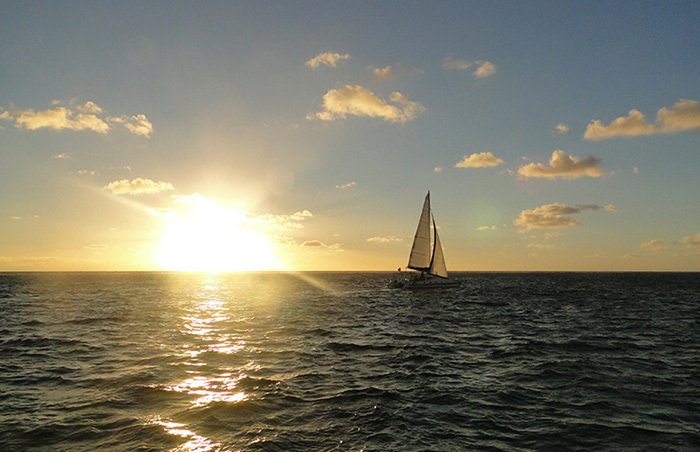 Sub-perk: Mauritius was voted the World’s Leading Honeymoon Destination in both the 2012 and 2013 World Travel Awards. If oceans are still not your thing, or remain something you would prefer to look at, rather than look out from, there are many other unique corners of the island of Mauritius to visit. Tamarind Falls – Explore the highest waterfall in Mauritius on a hike or canyoning adventure. Chamarel Seven Coloured Earths – Created by the uneven cooling of the molten volcanic rock, the variations of colourful sand are a unique sight. 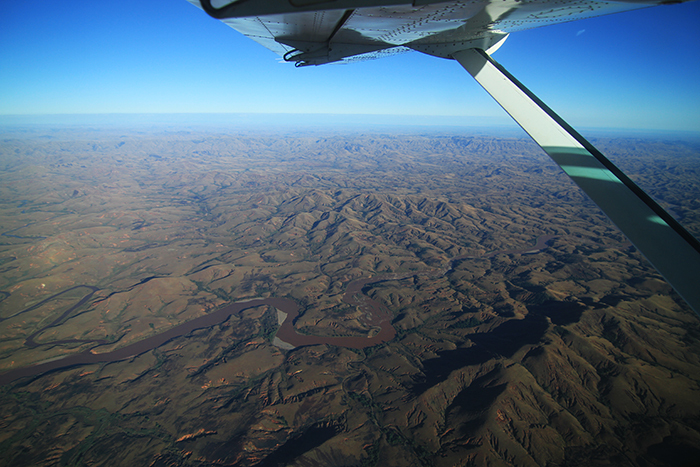 Black River Gorges National Park – The island’s only national park, this wild expanse is home to many endangered plants and animals. 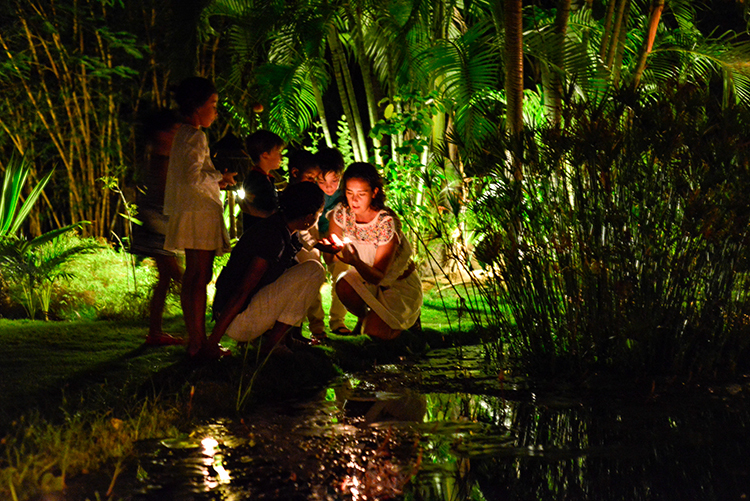 The botanical magic of the Sir Seewoosagur Ramgoolam Botanical Gardens begins with the long pond of giant Amazon water lilies – said to be robust enough to hold a small child without sinking. 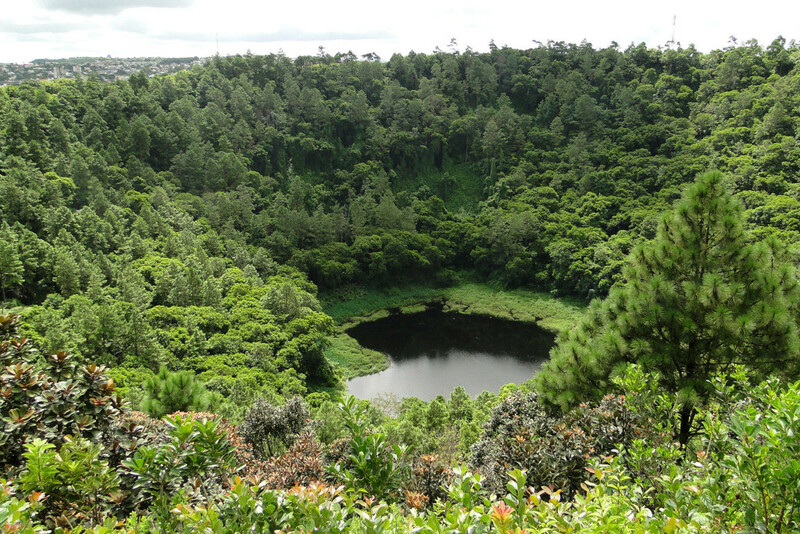 Trou aux Cerfs – Walk to the edge of this grand volcanic crater, for a glimpse into life millions of years ago. The crater is 85m deep and 200m wide. Grand Bassin, a holy lake for Hindu. It is said that the water inside the lake communicates with the waters of the holy Ganges of India. Frederica Nature Reserve – Explore this mountainous reserve in Domaine de Bel Ombre on hikes or quad bikes, 4×4 or Segway. Ile aux Aigrettes – Off the southeast coast of Mauritius, the island is home to thousands of endangered species and giant Aldabra tortoises. 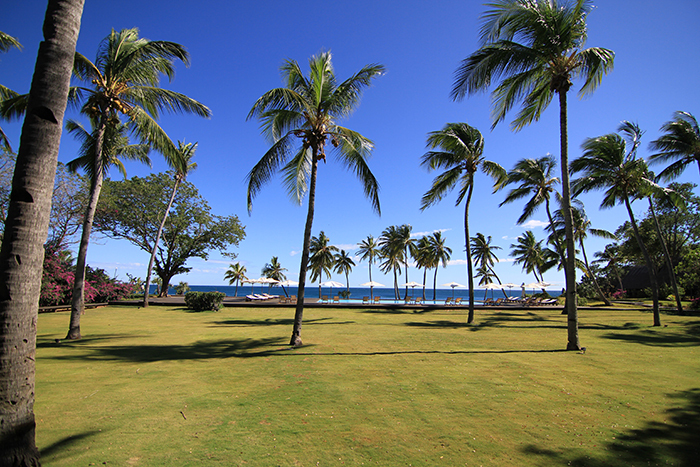 Visit Port Louis, the capital city in the north. 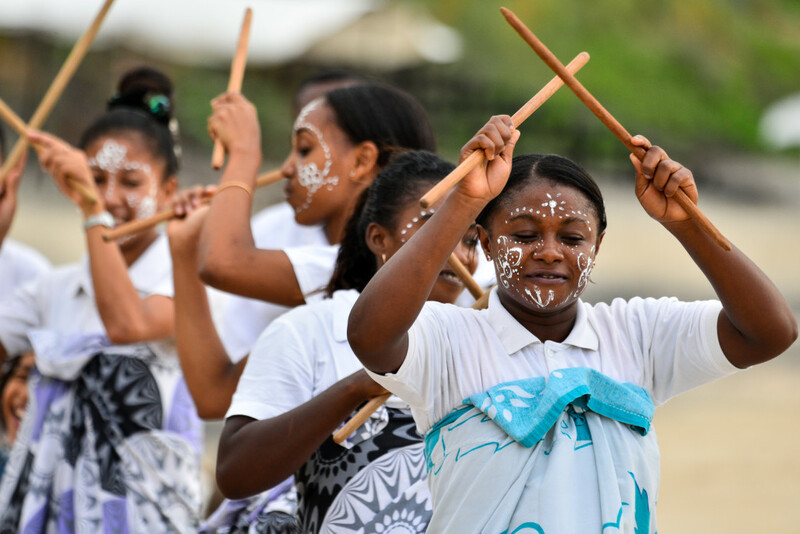 It’s an experience that will give you a better insight into the island and the spirit and customs of its people. 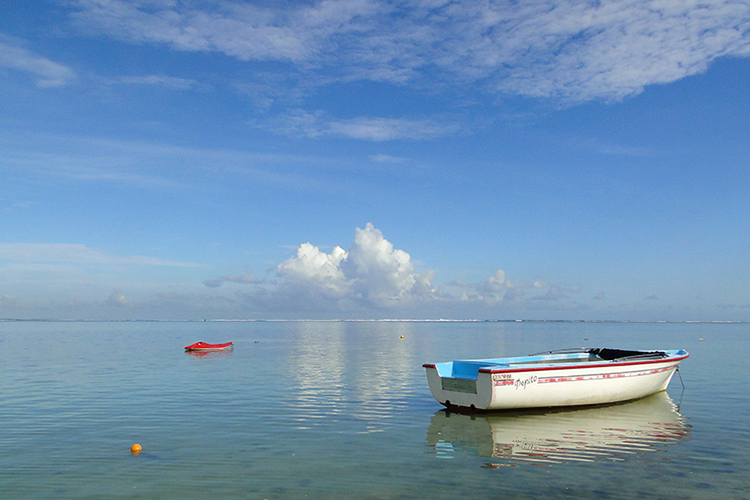 Mauritius has a long rum and tea-making history. Visit the Rum distillery at Rhumerie de Chamarel and the Bois Cheri Tea Estate to taste their black vanilla tea. 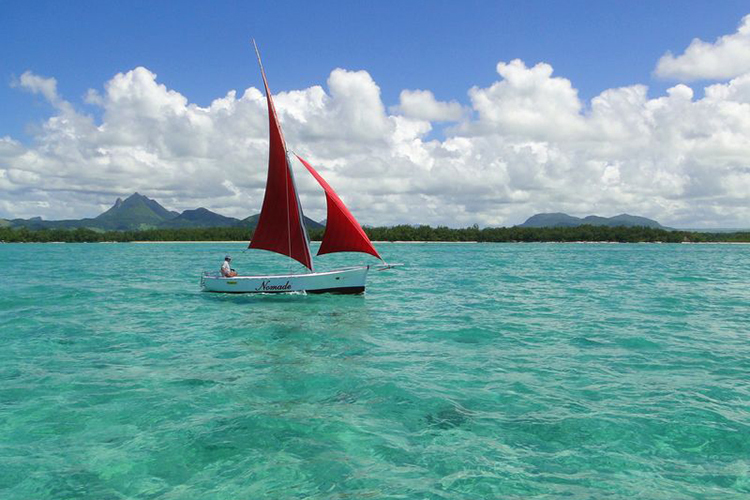 Discover more about Mauritius and 20° Sud, or contact us to plan your own ocean safari or island holiday.